David joined the firm in 2009 having previously worked for commercial firms in Birmingham and Leeds. David graduated from Leeds Metropolitan University with an honours degree in Law (LLB) and having trained and qualified as a solicitor in 2004 in the Midlands, moved back to his adopted home of Leeds. David became a partner at Cohen Cramer in 2014. 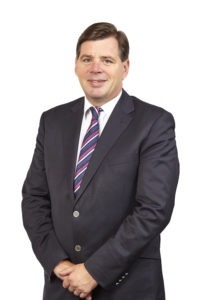 Having specialised in commercial dispute resolution for over 10 years, David has extensive experience in dealing with a wide variety of commercial and civil disputes involving numerous different business sectors and disciplines. David deals with cases in the County, High and Appeal Courts as well as being vastly experienced and successful in resolving disputes through mediation and other forms of Alternative Dispute Resolution. David is a dedicated, lifelong supporter of Kidderminster Harriers football club and maintains that his appearance as a mascot in 1993 is the sole reason for all of their success to date. Michael joined the original Howard Cohen and Co in 1990 and became a Partner in 1994. Michael’s expertise is in dispute resolution and he now heads up the Disputes Department, having overall responsibility for Inheritance Disputes, Reputation Management, Professional Negligence and Commercial Contract Disputes and has extensive experience of dealing with cases in all courts, including the Divisional Court, Court of Appeal and The House of Lords (now the Supreme Court). Michael’s principle interests are in the areas of professional negligence, building and construction disputes and injunctive relief matters, as well as overseeing all matters involving estate and trusts litigation including claims under the Inheritance (Provision for Dependants) Act 1975. Michael is also a trustee of numerous trusts. Michael is a petrol head and remains the undefeated karting champion of the firm. Gemma is a Solicitor within the Dispute Resolution Team. Gemma deals with all aspects of Litigation including advising clients and acting in respect of professional negligence matters, contract and property disputes and claims under the Inheritance (Provisions for Family and Dependants) Act 1975. Gemma joined Cohen Cramer in 2012 after graduating from Leeds Metropolitan University with an honours degree in Law (LLB). Gemma completed her training contract with the firm, undertaking training seats in Personal Injury, Medical Negligence, Dental Acquisitions and the Disputes Department, qualifying as a solicitor in 2015. Robert initially joined the Disputes Team at Cohen Cramer in early 2016 as a Department Assistant. Robert secured his training contract with the firm in November 2017 undertaking his first seat within the Personal Injury Team, running his own caseload of fast track claims. 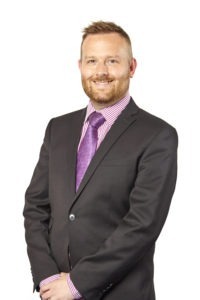 Robert’s second seat is back in the Disputes Team where he has the conduct of his own caseload including claims relating to professional negligence, contract and building disputes. Having graduated from The University of Glasgow with a Masters’ in History and Music, Robert went on to complete a Graduate Diploma in Law and his Legal Practice Course in Leeds in 2016. Outside of law, Robert has a broad interest in music, from early church music to house and techno.